Why Is Math Important for Your Kids to Learn? Kids like math a lot more than you might think. According to a 2018 survey, almost 50 percent of kids "love or really like" math. By comparison, only about 25 percent of them say they "hate" it. The rest are mostly indifferent to math. Those kids who hate math tend to really hate it, though. They'll ask questions like "Why is math important?" and "When am I ever going to need to use this in real life?" when they're struggling to work their way through a math problem. If your child falls into this category, it's important for you to stress how essential it is for them to learn math. Make sure you're prepared to provide plenty of reasons when they ask either of the questions listed above. 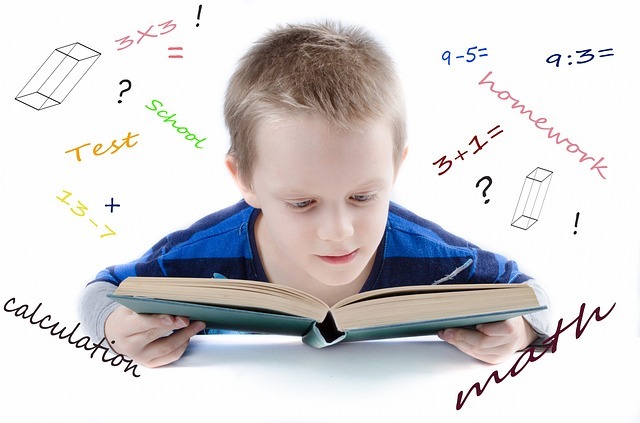 Here are some of the ways in which math can benefit your child. There has been a big emphasis placed on critical thinking in many schools. Students are often asked to read stories or watch videos and then form and share opinions on them. Some might argue that critical thinking has overshadowed analytical thinking. But analytical thinking is still just as important today as it ever was. 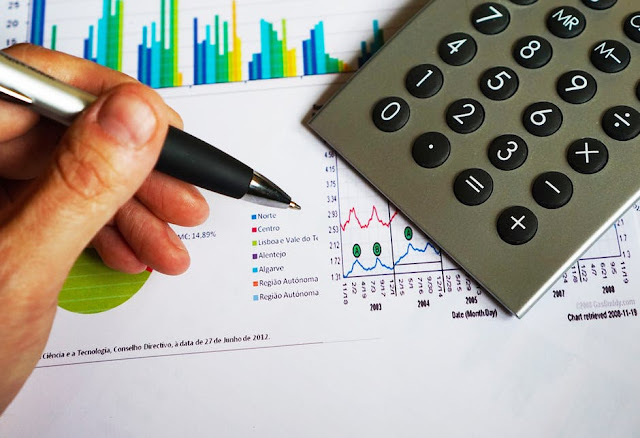 Those with strong analytical thinking skills are able to take complex problems and use a step-by-step approach to breaking them down and figuring them out from start to finish. Math allows kids to develop these analytical thinking skills. It trains their brains to be able to spot a problem and get to the root of it, regardless of whether they're working on a math test or dealing with a real-life issue. 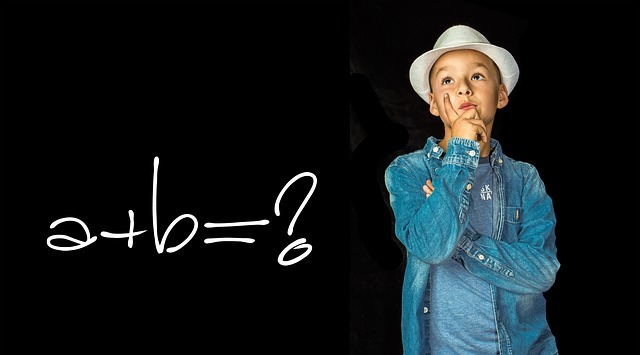 Even if kids aren't the best math students in the world, they can still improve their analytical thinking skills by leaps and bounds by learning math. Read more here about how you can get your child help with some of the more complex math problems. Most math teachers are men and women of few words. But there are three words that math teachers love that send shivers up their students' spines: "Show your work." Kids today might not love the idea of showing their work when they're trying to solve a math problem. But doing it does require them to learn how to problem solve as opposed to simply writing down an answer for each math problem. When kids have to try and solve a math problem while showing their work, they're forced to carefully consider each step that they take. It pushes them to focus in on what they're doing as they try to get the right answer. And if they don't get the right answer in the end? They can go back and see where they went wrong. There is real value in kids finding out the right ways to problem solve. It helps them both in math and in the real world. Learning how to do math is a never-ending process. From the time you learn how to count to the time you learn how to add and subtract to the time you dive head-first into trigonometry, you're always using previous math lessons to expand your math knowledge. This teaches kids how important it is to master one skill before moving on and developing another. If they don't have an old concept down, they'll have a tough time progressing to the next level when it comes to math. A study conducted last year found that approximately 30% of Americans are stressed out about money all the time. And do you know why that is? Part of it is because some people haven't developed good money habits. They spend more than they make and end up driving themselves deeper and deeper into debt over time. But part of it is also because some people aren't able to do the simple addition and subtraction that it takes to maintain a monthly budget. It makes managing money a huge challenge for them. Your child might not ever be able to get an A+ in the aforementioned trigonometry class. But when they have a good understanding of numbers and how they work, it can help build a bright future for them as far as money is concerned. When your child asks, "Why is math important? ", talk to them about all these examples. They might be surprised to hear how much you use math day in and day out throughout your life. It'll motivate them to take their math lessons more seriously and help them to see why math is so important to learn. They might still complain a little when they have to take an algebra test, but you should see some improvement in their attitude towards math. If you're having a hard time getting your child excited about math, you're probably getting used to hearing, "Why is math important?" Make that question a thing of the past by speaking with your child about how math will be beneficial to them. It'll shine some new light on the importance of math and make them think twice about the way in which they're approaching it. Try not to talk about how you hate math, either. Even if you're not a so-called "math person," you can help your child embrace math by speaking positively of it. Read our blog to learn about how music can also benefit your child in a big way. Engaging in wooden puzzles is a fun way to get your children to play and learn at the same time! 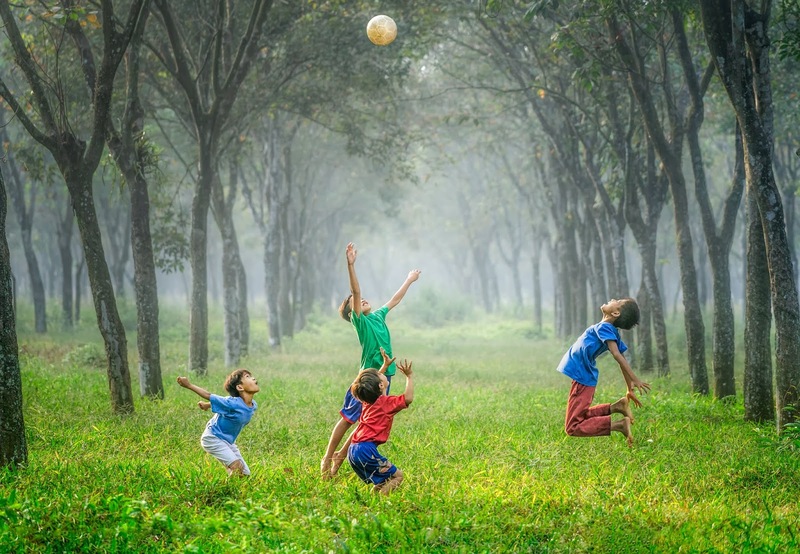 They keep children entertained, expand muscle, increase memory and concentration, and improve hand-eye coordination. 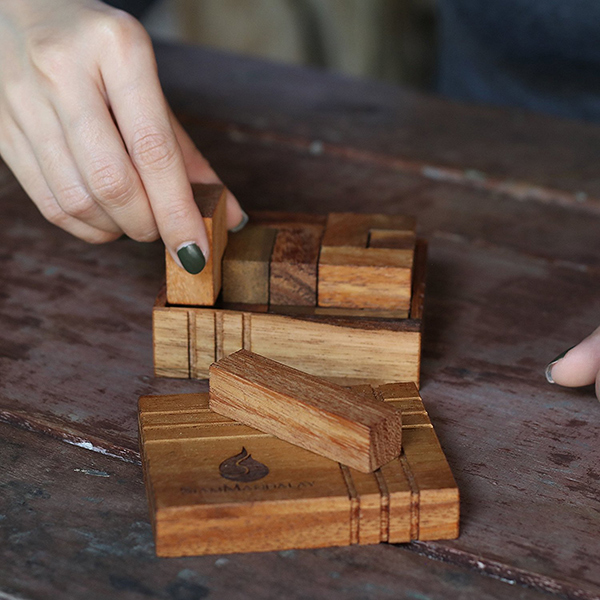 There are different types of wooden puzzle games for kids that you can buy. It depends on what the child wants and what you want to develop in them. Below, you will find the most addicting puzzles for 5 years old or older. The unique shape of the Shooting Star provides a fun challenge. Just holding it in your hand makes this 3D brain teaser seem magical. Curiosity will prompt kids to question how the pieces fit together to form the star. To find out, children have to disassemble six interlocking pieces and put them back together. As they work out the star wooden puzzle solution, they learn how to solve complex problems. 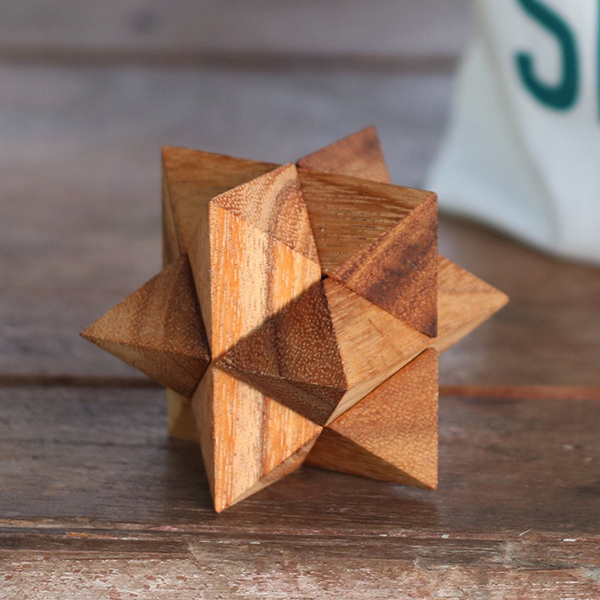 The shooting star puzzle solution is crafted from monkey-pod wood, giving it a smooth feel. Take it along on long car rides to keep kids busy. Adults also appreciate the joy this work of art brings. Display it on a table or desk for others to enjoy. You will have a hard time trying to get kids to put this Traffic Light Puzzle down. Four colors—red, yellow, green, and blue—encourage color practice, strategy, and pattern recognition. Designed for kids age 7 and up, this brain booster offers hours of fun. The basis of the puzzle is to arrange the cubes to create one of three combinations. It’s up to the child to decide, which puzzle to solve first. Options include organizing all four colors on the top and bottom; placing four different colors on each side; or arranging the dots so there four separate colors on the top and bottom. 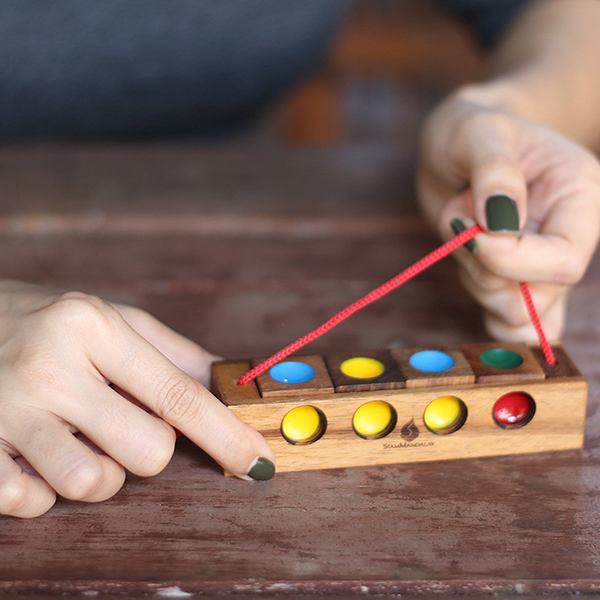 The Challenge Box is so addictive that children may have dreams of trying to solve the puzzle. It is the three-dimensional equivalent of playing the Tetris game. Kids of all ages have a blast trying to pack the 3-D shapes into a rectangle box. It sounds simple, but it is more mind-boggling than it appears. The goal is to place eleven pieces of various sizes and shapes vertically and horizontally without leaving any gaps. Children may get close to solving the puzzle before they realize something went awry. One wrong placement and the user must start over. This incredibly engaging puzzle is both perplexing and hypnotic. It helps kids enhance concentration and memory skills, as well as practice logic and planning. The mission: move the square with the red dot (the sun) to the bottom without lifting the pieces. There’s no simple solution to this puzzle, so children have to stay focused to plot each move. Once they master the moves, they can claim victory by pulling the red square out of the opening at the bottom. 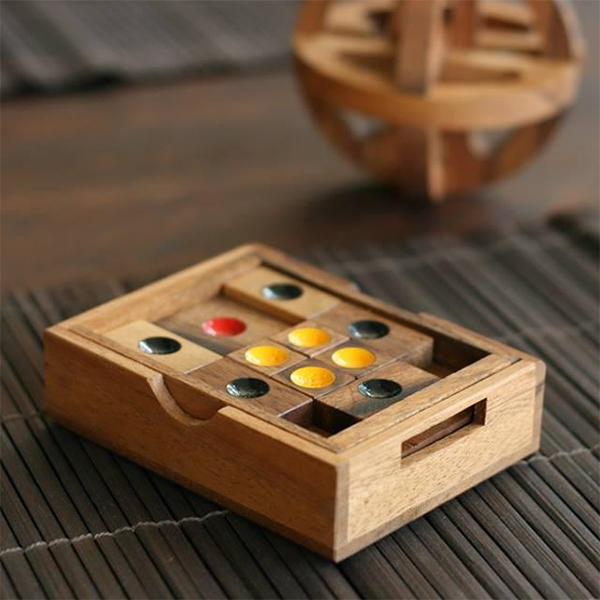 It comes with nine beautifully crafted color-coded tiles that rest inside a covered wooden box for safekeeping or travel. The Setting Sun Puzzle is ideal for keeping the kiddos engaged while you tend to chores. 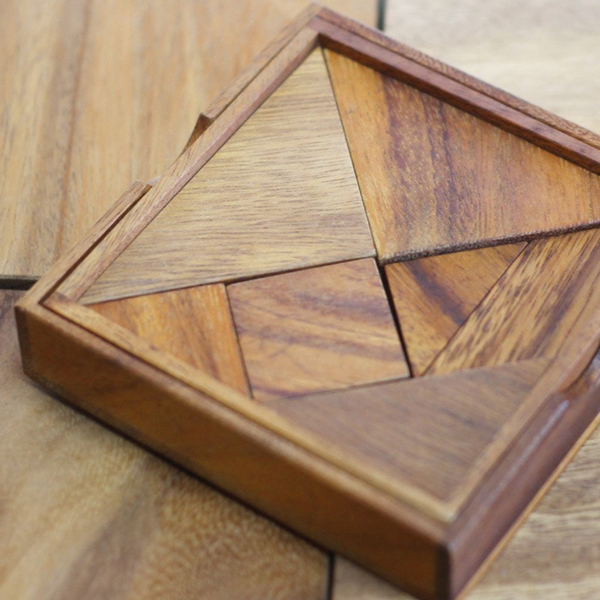 Time flies when kids indulge their creative whims while playing with the Tangram Puzzle. Seven pieces of varying shapes help spark the imagination. Aside from being a puzzle, the Tangram doubles as building blocks. 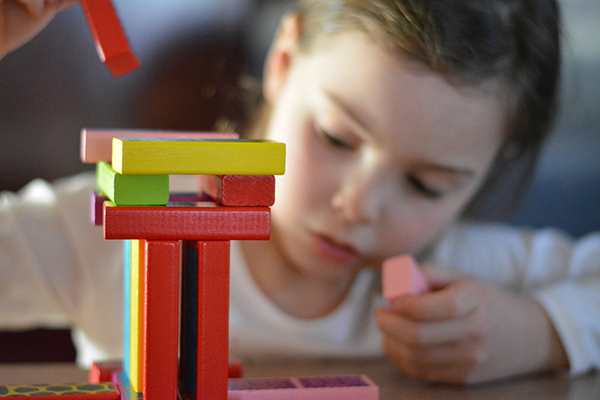 Tots can use the pieces to construct a house, pretend to play with animals, or make new shapes. The challenge begins when playtime ends. As children put the chunky pieces back into the box, they learn to recognize basic shapes and exercise fine motor skills. 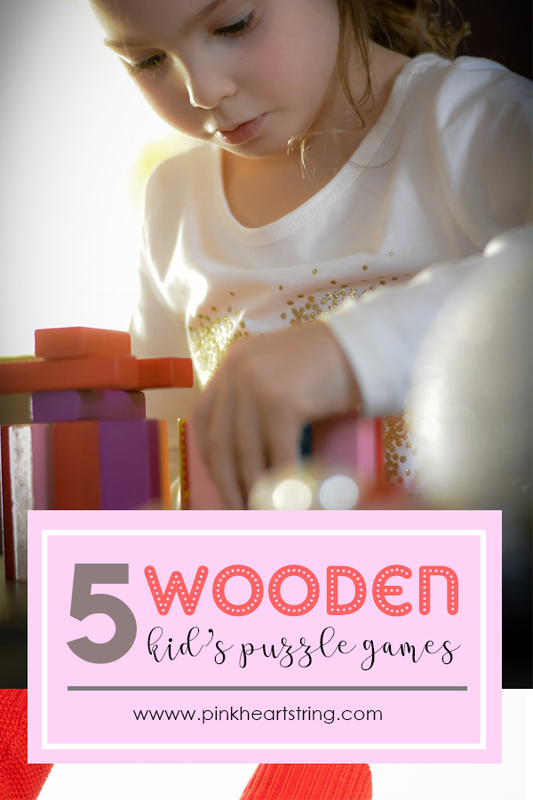 Wooden puzzle games for kids not only help pass the time but also increase children’s ability to learn and grow. They are a perfect alternative to playing games on a smartphone or computer. Author Bio: Paige Ellingson is an inspired writer, currently based in SE-Asia. Paige researches and writes content for many brands around the world. She recently became interested in the topic related to improving cognitive function and gaining mental clarity. It’s almost the season for the great outdoors, food & fun! 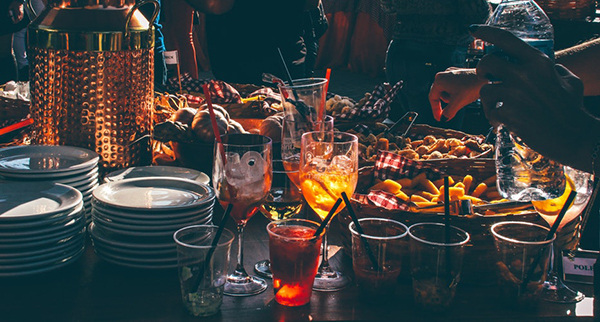 You may love hosting big backyard BBQs however what if you don’t the resources or money for a big old bash? 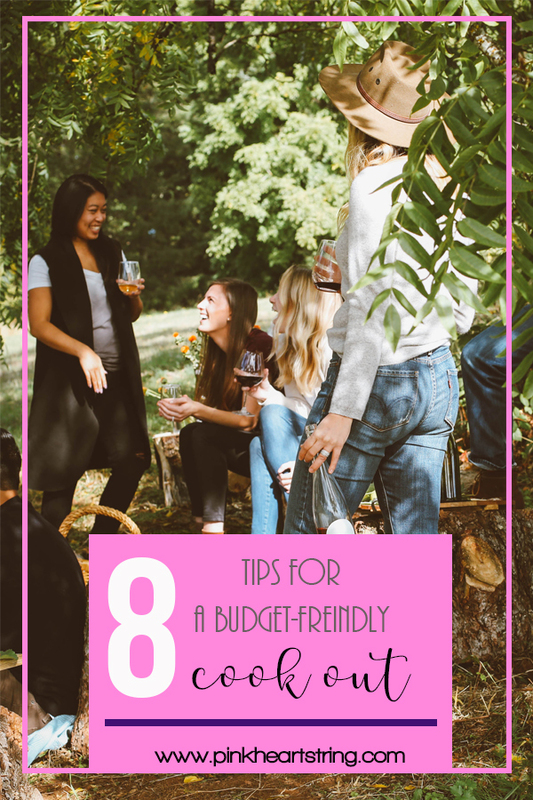 Don’t stress, with these tips you will be able to host and afford all the cookouts you desire! You can’t have a cookout without dessert! You will find that most bakeries or supermarkets dessert options are quite expensive, they usually have a makeup of 300%. Baking cakes, cookies or cupcakes from scratch is the cheapest way to go. If you’re not a fan of baking try using boxed cake or brownie mixes. You don’t have to put a dent in your bank account to have steak, fish or chicken on the grill. Try skipping the porterhouse and pick up some flank or skirt steak. All you need to do is rethink your cooking process. These types of meat are perfect for a low and slow smoker. These cuts have oodles of flavor and a smoker will help bring that out. Bone in chicken is also perfect for the smoker as it stays juicy and tender, not to mention it much cheaper than chicken breast! For your fish, try to pick something in season. You will find that the more plentiful the supply, the cheaper the fish. So have a chat with your fishmonger and they will be happy to let you know. Also, make sure you ask if it is grill friendly. Well, charcoal and gas grill are some of the more popular options but they require some purchase of fuel to power them. Electric smokers are well regarded as efficient and cheap cookers. Not only that it eliminates the extra costs of preparing for your cookout. Make sure you explore your options first and pick one of the electric meat smokers that fits your needs and budget. Many people tend to waste a huge amount of fuel when cooking. Most of us pour way too much charcoal into our grills. Unless your cooking for a huge occasion, there is no need to use a 10-pound bag. You will find that 2-3 pounds should be enough to cook for six to eight people. If you're using gas to cook up pork or brisket, you only need to put it on high for the first five minutes. After that, you can turn it too low and let it cook low and slow. Avoid all prepared grill meat. Any type of meat that has been pre-seasoned, skewered or marinated will be much more expensive. Your best options are to buy in bulk such a slab of meat or whole chicken and prepare it yourself. Just like your seasonings, marinades can be very pricey. You can easily make your own at home with a few simple ingredients, depending on the flavors you like. A quick & tasty marinade for pork just needs olive oil, garlic, honey, jalapenos & lime. Whereas chicken really only needs some oil, salt, pepper, and lemon! Most prepacked seasonings can cost from $2 - $8 for a tiny container! If you just a quick read of the ingredients, it's likely you have all the same ingredients at home! If you create your seasonings like this, they will cost you a few pennies! It can be exciting to experiment with all sorts of blends and flavors. Start with a base such as this yummy chicken rub and add something different each time. You never know you might create your own secret blend of herbs and spices! This also helps brings some variety to your BBQ without spending any more money. Put the Decoration & Invites Together Yourself! There is no need to buy and mail out invites anymore! Technology allows you to do with efficiently and inexpensively. All you need to do is set up a Facebook event & send out notifications to your group. If some of your invites don’t have Facebook, you can download free templates and make the invites yourself. Decorations can also be made on the cheap. All you need to do is check out Youtube or Pinterest for trillions of DIY ideas for a cookout. Some of our favorites include burlap bunting and floating candles! If you have a holiday coming up you can even base it on a theme, such as Halloween. Make the cookout inclusive and kindly ask each of your guests to bring one of their favorite dishes. Most people are really excited to show off a family favorite or dish from a certain region of the world. You don’t need to be strict just make sure you have a variety of dishes such as apps, salads, mains & desserts. As you can see there is no need for your cookout to cost you a leg, arm, and drumstick! With these flavourful recipes & tips to guide you, you will be able to shop on a budget and put together some yummy food for your friends and family. 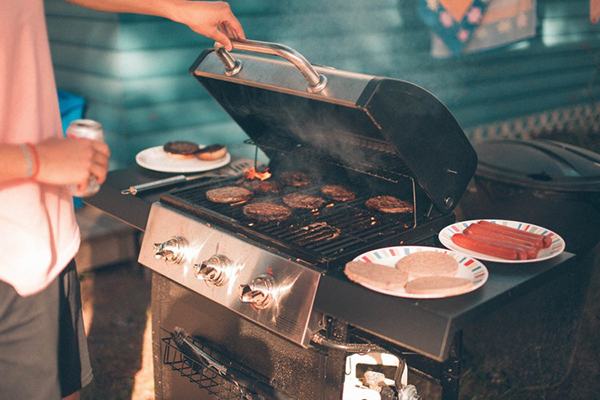 Get ready to have a whole summer full of cookouts! No one wants to find eerie crawlies in their house; nobody likes unwelcomed guests at their homes. Ants, rats, and other harmful pests can cause disaster in your home and may expose your family to detrimental diseases. Being a parent, you must determine which could be the best pest control option, to reduce your family's exposure to pesticides. To reduce a child’s exposure to pesticides is to follow pre-emptive measures. There are few effective approaches for the pests that you can do in homes & garden. You can keep rats outside the house by eliminating their food supply from windows, doors and other entry points. If they have already entered the home, traps are the best way to catch them, place the traps in areas which are out of reach of children. "When these rats start snitching break them off." Lice infestations may be protected by Instructing kids to avoid hair to hair contact, avoid sharing combs, caps, and cushions. Oil your kid's hair to treat lice, wash their hair with anti-lice shampoo. Make sections of their hair, and comb them thoroughly to remove insects. Mosquitoes can cause many viruses; you can protect your kids from mosquitoes, by eliminating stagnant water, especially from your kids' play area. 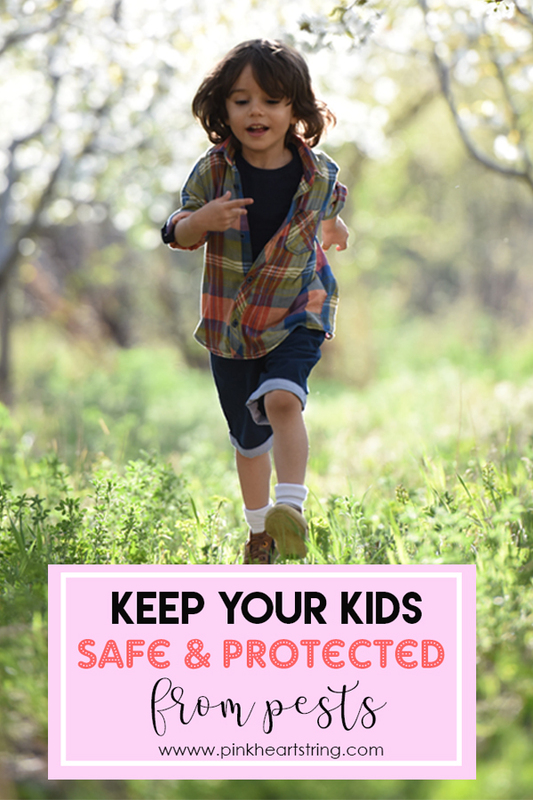 Cover your kids adequately, by fully covering their arms and legs to protect them from mosquitoes bite. Develop the habit of washing hands in your kids; this will automatically remove bacteria and protect your kids against any illness. Tell your kids the benefits of washing hands, demonstrate how to wash hands practically. If you noticed you could not manage it alone. Do not be hesitant in contacting or hiring a pest control professional to treat pest infestation in your home. There are many pest control professionals available on the internet; you may contact them & book an appointment. You may review the company's website to approach professionals. Jackson New Jersey Pest Control Company can be helpful in this regard. Pesticide residues can easily be found in many foods such as fruits, vegetables, milk, and flour and you can observe these are commonly used foods. 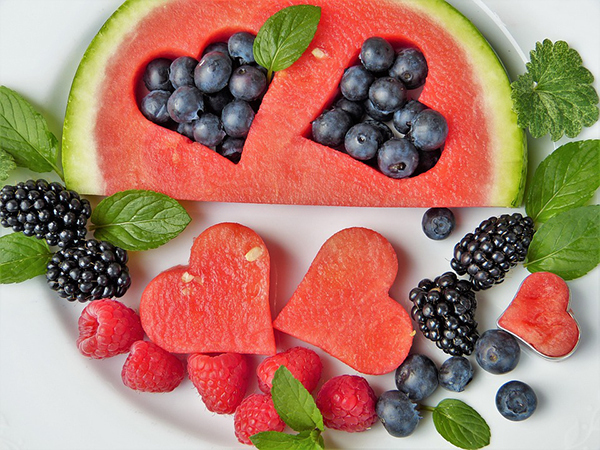 Following is the list of fruits& vegetables which contain different pesticides such as apples, strawberries, peaches, blueberries, and grapes; plants include celery, sweet bell peppers, leafy greens like lettuce, kale, and spinach, green beans, cucumbers, and potatoes. The Internet offers many tools to buy organic food; there are many tools online with mobile apps which can guide you, Pesticide Action Network’s shopping tool What’s On My Food? Children love to explore & play in gardens; gardens hold a wide variety of pests. Ask your kids to wear gloves to avoid pest exposure. You may contact an experienced Gardner to help you overcome this problem. Although we all hope for a brighter future for our families, the sad reality is that may no longer be possible. Climate change is an unavoidable fact of life now, and according to the Philippine Star, the Philippines is the third most vulnerable country in the world. Although it may be too late to stop climate change from happening, it is possible to reduce its effects through lifestyle changes. A previous post on Pink Heart String talked about how to reduce your household’s carbon footprint, but did you know it’s also possible to do so through your wardrobe? 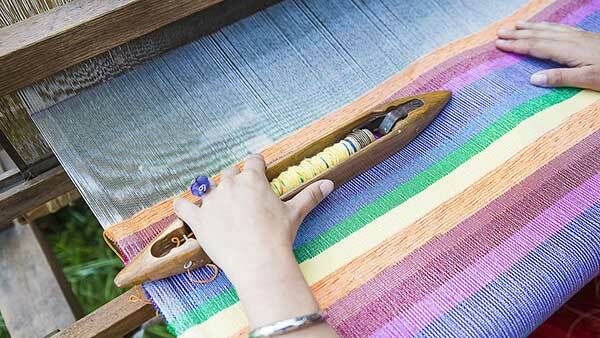 Green Strategy describes a method called sustainable fashion as not just producing accessories, clothing, and shoes in more environmentally-conscious ways, but also as a shift in consumer behaviors. This means cutting down on buying new clothes “just because,” and making a concentrated effort to be more conscious about your purchases so that the clothes that you do buy for you and your family, you end up keeping and wearing for longer. 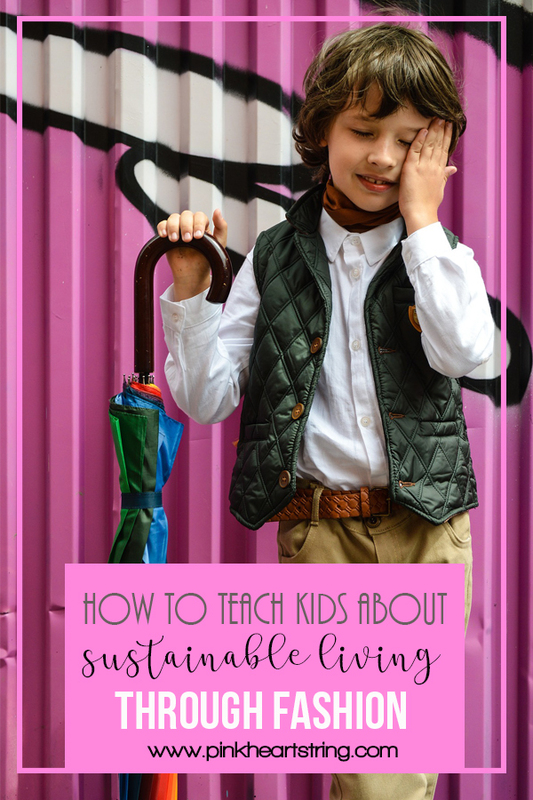 Your kids may now be growing up in a world where fast fashion is the norm, and they may see their friends, neighbors, or the people on television buying the latest clothes and then throwing them out when they’re out of season. They might even learn this behavior from you, depending on your shopping habits. After all, who can resist the latest sale at the mall, or a good deal online? Fashion Revolution Philippines says that the global fashion industry is one of the biggest polluters in the world, producing unnecessary waste in the water and air and paying workers low wages in order to maximize profits. This industry hurts producers, manufacturers, and consumers, and has lasting impacts that extend far beyond the life of a t-shirt. While the pleasure of buying a new blouse or shirt may be great, it’s time to think about whether that brief happiness will be worth the lasting impacts on society and the environment. If you’re not sure you can turn your whole lifestyle around immediately, then baby steps are fine. Start by supporting local brands that put more money into the hands of manufacturers and laborers than huge, international brands do. Divert your attention to industry leaders BNY Jeans who manufacture affordable clothing in the country and don’t outsource to get cheaper labor and materials. Their clothes are of the highest quality and will last you and your family for years. You can get your kids jeans that are sturdy and will last through the wear and tear of childhood, and BNY also has a Basics Collection that offers clothes in classic cuts that will look and feel just as good even years down the line. Buying from a local brand like BNY also ensures that more money goes into the Philippine economy, strengthening it and reducing the demand for cheap and flimsy items from countries like China. 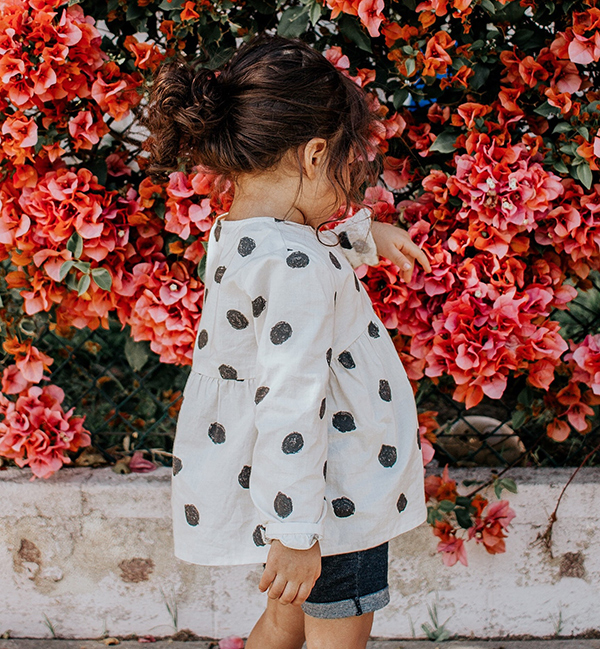 By teaching your kids to think carefully about the impact that something as simple as clothes can have on the environment, you can help them become more mindful and empathetic citizens. Showing them that “cheap” can actually cost more in the long run will also teach them how to better invest their money and time, which is a truly useful skill for the future, and a valuable lesson from their parents. Family road trips are very exciting and fun but can also be a bit stressful. 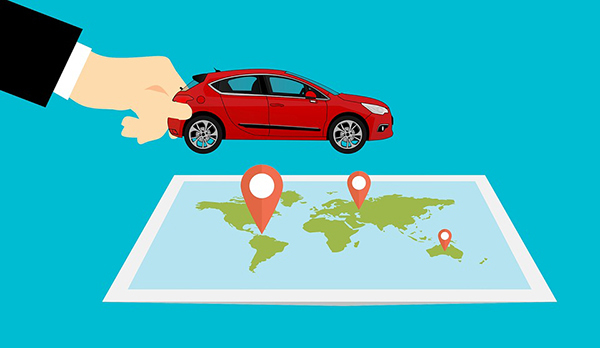 Be glad to know there are four ways for how you can easily experience a better family journey as you travel along to your destination. It’ll take a little extra effort on your part, but you should rest easy knowing that your hard work will pay off in the long run. What you should avoid is winging it and hoping for the best because this is exactly when problems arise. You may later regret your decision of refusing to make arrangements and sort through the logistics ahead of time. 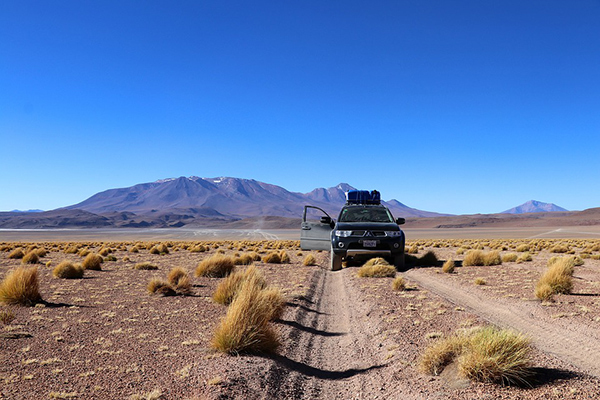 Although road trips are freeing and allow you to make decisions on the fly, it’s not always the best approach. It’s a wise idea to have a plan in place for where you’re heading and going to stay along the way and once you arrive at your destination. 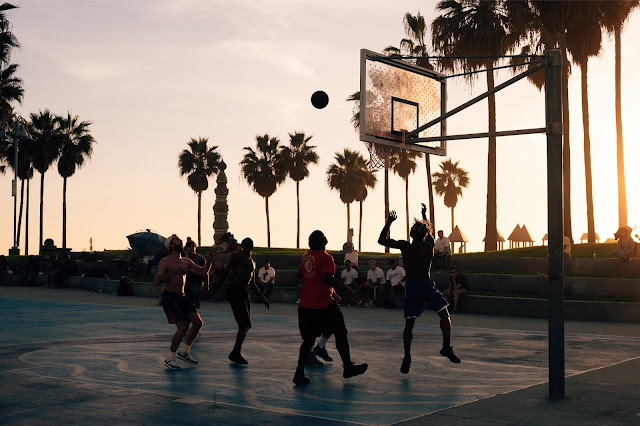 You may have a better time as well if you plan out a few fun stops along your route to get out and take pictures of certain attractions or landmarks. Also, book any hotel reservations in advance, so the facility is expecting you when you and your family arrive. 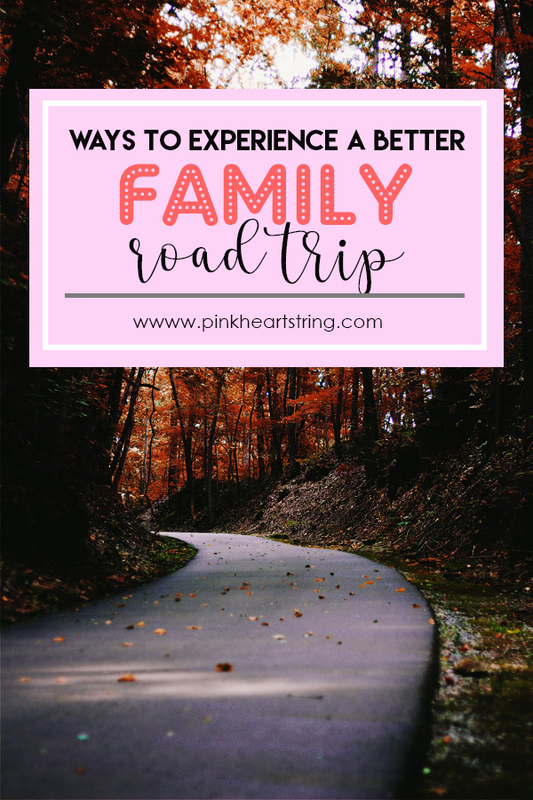 Another way to experience a better family road trip is to always prepare for the worst. Take precautions such as getting your vehicle checked in advance and making sure it’s safe to drive. Also, carry a roadmap with you in case your phone battery runs out and also have contact information for a good law firm such as Bird & Co Lincoln should you get into an accident and need advice or assistance regarding the matter. Think of anything that could go wrong and put measures in place, so you have a plan for dealing with whatever you encounter on your trip. Everyone will be a lot happier and less crabby or restless on your excursion when you’re able to entertain yourselves. Bring along music, card games, and electronics so you and the kids can avoid feeling bored for long stretches. Also, bring along food, snacks and drinks so no one goes hungry for too long and starts to feel irritable. It’ll be a much smoother ride and experience when you’re all well fed and distracted by some sort of entertainment. Riding in a tight space with your family for an extended duration may make you each feel a bit aggravated at times. It’s in all of your best interests to proactively diffuse any arguments that arise right away before they get out of hand. It may help to stop and take a break and stretch your legs for a few minutes if you feel the tension rising. Be sure to stay hydrated, switch off drivers so you can all nap and eat as healthy as possible to keep you and your loved ones feeling good throughout the trip. If you have recently adopted a child or plan to do so in the future, then one of the next immediate steps is to apply for a Social Security number and card. The child will likely already have an existing number that they received following their birth. Though, this may not be the case if you are adopting a child immediately after birth. Do not make the mistake of thinking the child should keep the same Social Security number they received with their birth parents. It is in the best interest of privacy and security that they receive a new number and card following the adoption. Luckily, applying for a new card is not an incredibly difficult or time-consuming task, though it does take more time than applying for their first SS card. If you happen to be at the hospital at the time of the child's birth, then you may be able to speak with the birth parents so that they do not apply for a Social Security number for the child. Applying for the first number and card is faster and easier than changing it at a later date so that's always the ideal course of action. But if you are unable to apply for the baby's first number after birth, then you will need to apply for a new number later following the steps below. A minimum of two documents proving the age, citizenship, and identity of the child are required. One of those documents should be the child's birth certificate. This is the document that was issued following the finalization of the adoption. It will list the child's new name (if there is one) and will list you as the parents. This is known as an amended birth certificate and is important for providing proof of the new parent-child relationship. There are some states that take up to 12 months before sending an amended birth certificate to the adoptive parents. In those states, there are often alternative documents that you can use for this purpose. 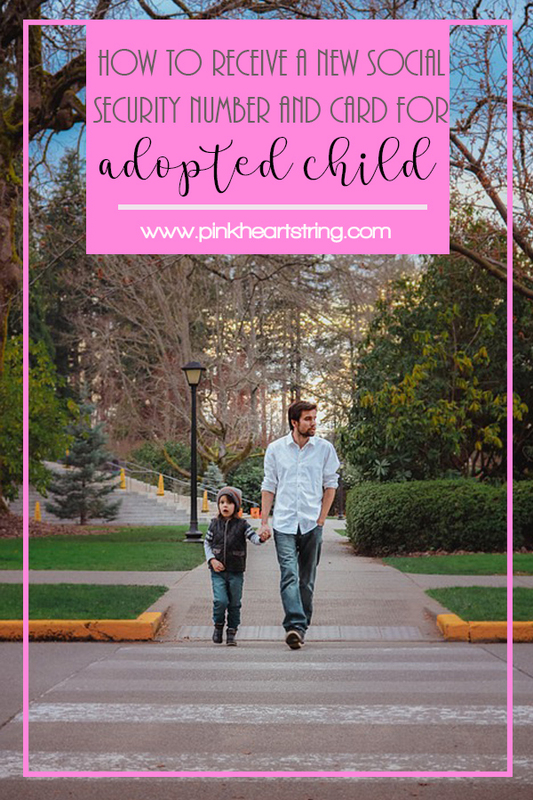 For example, in California, you can use the final order of adoption or the adoption decree to prove the parent-child relationship. They may also require a signed Adoption Agreement. The second document can be any medical record or the original hospital birth record of the child. This document is used to prove the U.S. Citizenship of the child. All of these documents must either be the originals or a certified copy. You will not be allowed to use a photocopy of the document. A third document is required for proof of your own identity. You can choose to use a passport, a state-issued ID, or a driver's license. Whichever you use, it's important that the document has not expired. 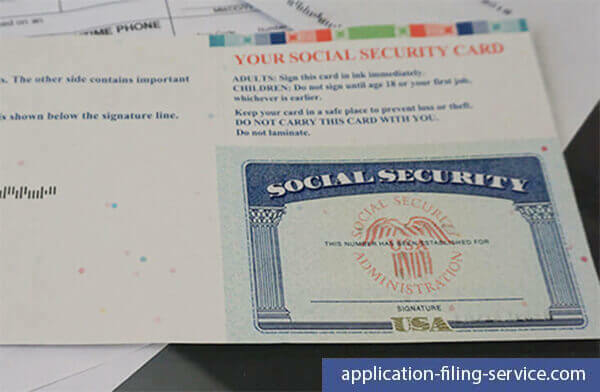 The SS-5 form is the official application for a social security number. If you show up at a local Social Security Administration office with the above documents they will give you an SS-5 form to fill out on the spot. Filling out paperwork in public is never fun. It's highly recommended that you visit the official Social Security government website and print the form at home. You can then fill out the form before visiting the office and streamline the entire process. The SS-5 form contains 18 sections where you will need to supply information about yourself or the child. They will want to know the child's full name, their place of birth, their parent's information (including their social security numbers), and their mailing address. One of the questions on the form will ask whether the child has received a prior Social Security number in the past. If you did not know the birth parents, then it is safe to answer “no” to this question. The child is technically applying for a Social Security card and number with an entirely new identity and new family. It is not the same as the previous number they may have acquired at birth. However, if you knew the birth parents and they used your name on the original birth certificate, then you must answer “yes”. The next step is to deliver the completed SS-5 form and the appropriate documents to your local Social Security Administration office. You can use the online tool on their website to locate the closest office to your home. Some people choose to mail their documents, but you are advised to deliver them in person because of the sensitive nature of the forms. Once the documents have been delivered you must wait for six to twelve weeks. It may take longer if the child is older than one year of age. This is because the SSA will need to contact the state departments to confirm the information and to validate the birth certificate. If there are any errors with the form or documents, then you should receive a written notice from the SSA. Should You Work With An Attorney? 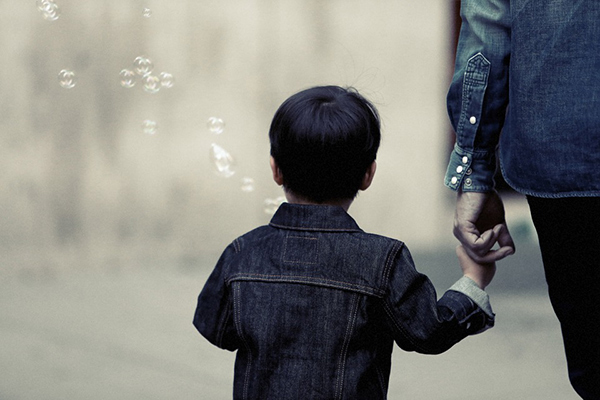 If you are having trouble securing a new Social Security card for your adopted or foster child, then you may need to work with a professional attorney to expedite the process. These laws can be very confusing and in some cases, even the workers at the Social Security office do not fully understand them. They may try to tell you at the local office that you cannot receive a new number or they may try to send you a new card with their previous number. In any case, your new adopted child has a new identity and a new family. They are certainly entitled to a new Social Security card with a new number. This will help protect them from their past lives and possibly even their birth parents who likely have their original numbers. An attorney will fight for you to ensure that the SSA issues a new card with entirely new information. It can be a lengthy process if the SSA office believed they should not issue a new number, but you must remain diligent. Kids these days love to learn using their tablets or iPad. Although this is an effective way of learning, we have to make sure that they do not spend too much time using it. There are so many apps that we can download to help them learn new things or just to fill in some boring moments. The new Da Vinci Kids app might be the perfect app for you and your kids. This will no doubt level up your family bonding experience as you join them in their learning adventure. You can learn a variety of things from making pancakes to the basics of physics. This family-oriented interactive video-on-demand app comes with an impressive library of educational content that will surely tickle the minds of your kids. Over 350 hours of fun videos are available and categorized into main catalogs, namely, Mother Earth, Amazing Animals, How Stuff Works, Our Body, Inspiring Art, Fascinating History, and Mathematics. Concepts are visualized through videos that are easily understood by kids. 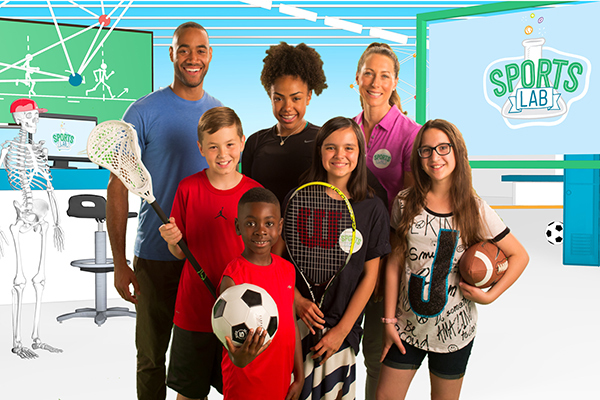 Kids can take the challenge of fun quizzes on interesting topics such as Insects, History, and Sports. Tip: Get a perfect score on these quizzes by watching the related episodes. An entertaining array of mini-games also await youngsters in Da Vinci Kids. Give their brains a workout with Memory Gym, create a pixel art masterpiece with Pixel Artist, or learn fraction concepts with The Train Conductor. 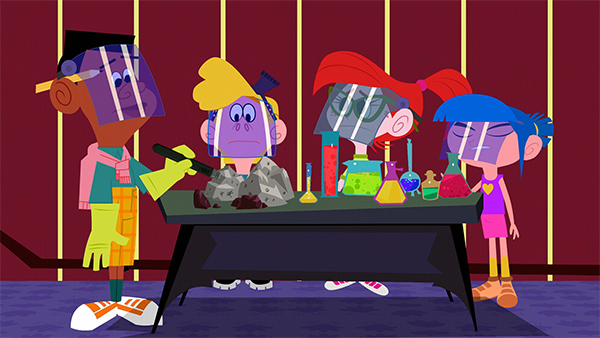 Is your kid passionate about science or has an exciting experiment he or she would like to share to everyone? Kids Studio is the place to be! It’s a safe, video-sharing community within Da Vinci Kids where they can create their own mobile stories and have it published on the app. To top all that, kids will be awarded achievements and badges once they complete the app’s games and activities that encourage “learn-by-doing.” This way, they will be motivated to discover more. Da Vinci Kids app and Globe partnered to level up your family's bonding experience. Only Globe Postpaid customers can enjoy this amazing app with a 30-day subscription at a discounted price of P99 (versus the regular price of P109)! With just P99, imagine the possibilities your child can achieve by applying what he or she has learned through Da Vinci Kids. 1. Download Da Vinci Kids on the App Store (for Apple users) or Google Play Store (for Android users). 2. Open the app and click on the subscribe button on the upper right corner. 3. Choose the exclusive Globe offer worth P99/month. 4. Answer the adult verification question. 5. Enter your mobile phone number. 6. Enter the PIN code that will be sent to your mobile. Once done, you and your child can begin your adventure on Da Vinci Kids! The app will develop your child's love for arts, science or mathematics. With Globe Postpaid and Da Vinci Kids, moms and dads can bond with their children over great educational entertainment anytime, anywhere. To learn more about Globe Postpaid and its latest offers, visit www.globe.com.ph/postpaid. 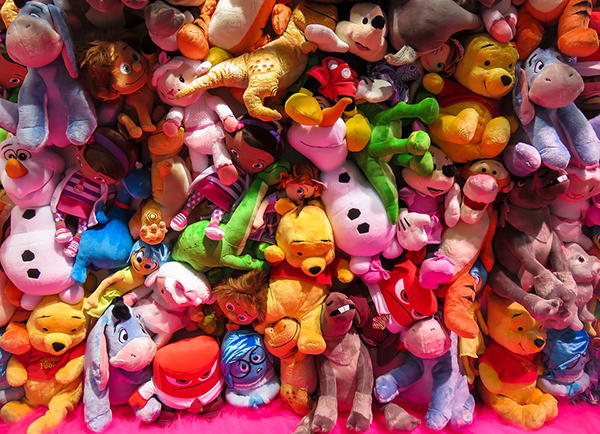 A large number of people in the country are stuffing their kids’ toys in the attic with the hope that these may one day fetch large sums of money. Some plan to sell the toys to make a profit while others predict that the toys will be a goldmine in the near future. Even so, it is important to note that not every toy can be worth a dime, so you need to know which ones to keep and which ones to give away. 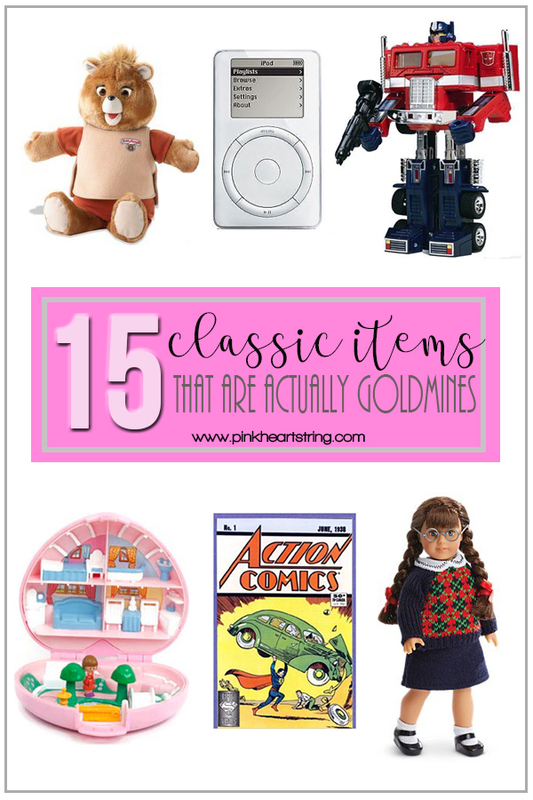 If your kid is still holding on to one or more of the toys mentioned in this guide, then you could be sitting on a goldmine. The original Optimus figure is a rare and valuable robot. The invention of the Transformers action figure in the 1980s saw the creation of other kinds of robots, but Optimus Prime was one of the most complicated robots to produce. Although several leader versions do exist today, its original version is very much in high demand, with the new Optimus Prime fetching a price of more than $500. People are usually willing to pay large sums of money for vintage toys, and the Game Boys is no exception. There is a high chance your kids have this toy lying somewhere in the attic, so you need to know that you are actually sitting on a goldmine. An original Game Boy can fetch anywhere from $700 to $1200 on e-commerce sites such as eBay. 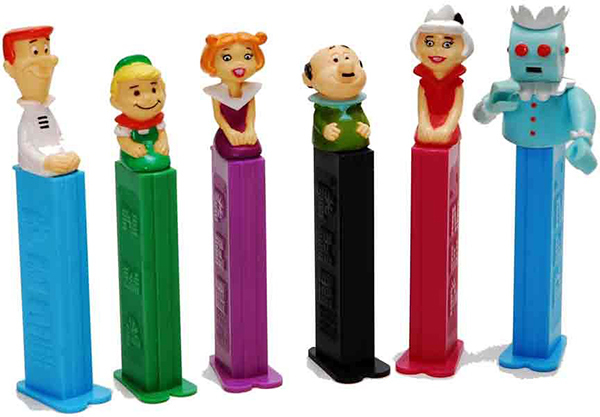 There is a myriad of designs of the PEZ Dispensers. If your kid owns the right toy, then chances are you are rich. There are some PEZ Dispensers which are very rare and could be a goldmine for you, fetching tens of thousands of dollars. Monopoly is everyone’s favourite, so even when you don’t have this in your archives, there is a high probability that your kids still do. With something as simple as a Monopoly board, you could easily fetch yourself some big bucks. For instance, the original hand drawn and painted version made by the creator himself in 1933 sold for $146,500. While most of these small cars go for a few dollars, the rare kinds are often worth thousands. Among these is the Volkswagen Beach Bomb that was designed with surfboards. The fact that this toy was not produced in large number makes it more valuable to collectors. Although its price varies, some of them are valued at hundreds of thousands of dollars. The pristine copy of Action Comic No 1, Superman's first appearance in 1938 sold for more $3.2 million on eBay. This is because the Action Comic No. 1 is the first book that introduced Superman and there are less than fifty of these in existence today. If your kid owns one of these copies, and you are aware of the best way to sell comic books, then you are worth millions. 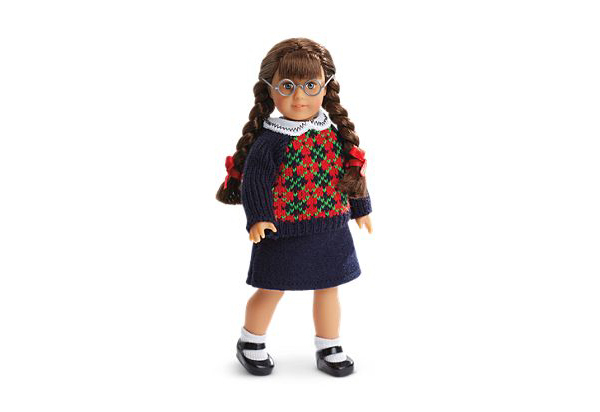 An ordinary American doll such will bring you about $120, but it’s reassuring to know that rare dolls such as Kirsten, Samantha, and Molly still exist. If your kid still has one of these discontinued dolls in their closet, you could easily make as much as $10,000. Undoubtedly, not every yearbook is worth tons of money. Nevertheless, if your kid happened to attend school with a famous person or a celebrity who happened to sign their yearbook, then you could easily convince them to sell it. Selling a yearbook online could bring it as much as $10,000. The one-inch dolls produced between 1989 and 1998 are the most valuable Polly Pockets. These vintage accessories and toys are sought out by collectors who are more than willing to pay hundreds of dollars for anything from the Musical Dream Wedding to Crown Castle Princess Treasures. These talking bears are valuable given the fact that the original was sold for only four years before the parent company ran out of business. 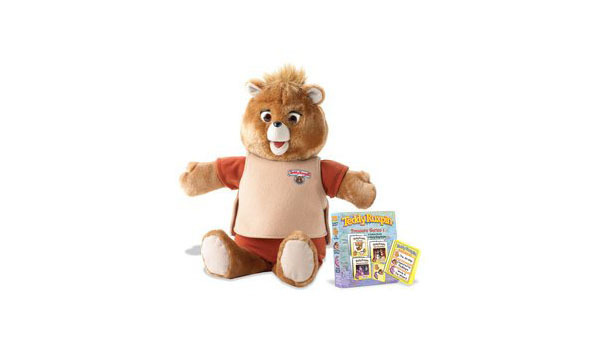 Today, there are so many versions of this bear, but if your kid happens to have an original version of the Teddy Ruxpin, then you could easily fetch hundreds of dollars from its sale. There is a high chance that your high school or college kid was a Boy Scout when he was younger and was awarded may Boy Scout badges from their earlier glory days. If they are not so much attached to them, then you could easily make money by selling these badges. Badge collections from the early days could easily go for hundreds of dollars depending on who’s buying. When the first iPod was released in 2001, it was something that everyone wanted to have. And although many people today will use their smartphones to play music, an iPod of the first generation, whether old or new, will still fetch some good money, as models in good condition go for as much as $10,000 on eBay. Although the Barbie may have undergone some transformation, collectors view the classic version of this doll as the only legitimate Barbie. Original versions of this doll can go for anything between $8,000 and $23,000. Pokemon trading cards, first published in 1996 in Japan, have a vast following and the rare cards have been seen to go for great prices. For instance, a holographic misprint card sells for more than $11,000, while other cards can bring in a similar amount of money. Having been created in 1997, these virtual monsters gained popularity after the video game and anime series. The mint-condition version of the Digimon can go for more than $100, and the cards can also be considered collector’s items. 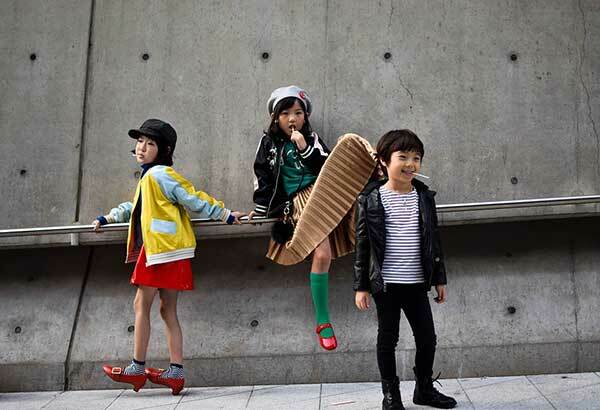 If your kid still has Digimon, then you know you can easily make some cash by selling it. Some of your kid’s toys that appear to be useless could easily make you some money. If your child has one of the above items, you can convince them to sell for some easy cash. Some of the toys mentioned above can fetch some huge amount of cash that could transform your life. So, you know someone who is expecting a baby girl? If you are and still don’t have a clue what to get them as a gift, keep reading this article. Despite their gender, babies have lots of energy and are curious even at an early age. However, you will still want to personalize the gift and show you have thought about the little one. Many parents know what they need and would appreciate from loved ones giving gifts. This article, therefore, seeks to list some of the most appreciated toys a little girl and her parents could ask for. If you’re stuck for ideas, baby hampers are a fantastic starting point. They incorporate a range of pretty gifts and gives you a chance to cover several bases to give new parents and their little one plenty of goodies. 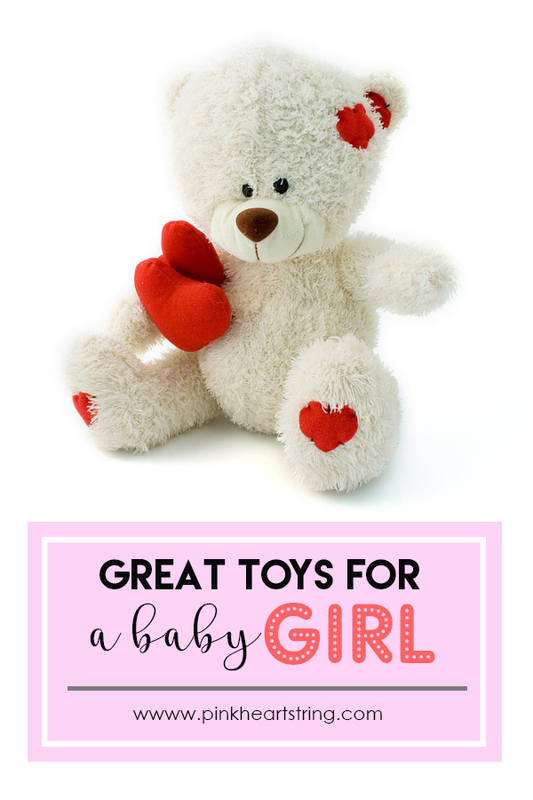 Perfect for this time of year, newbie parents will love the extra love and effort that went into choosing this gift. Perfect for 2 years and over, this could be a lovely toy for later down the line when they have matured a little. Snuggle pets are cuddly and highly lovable. 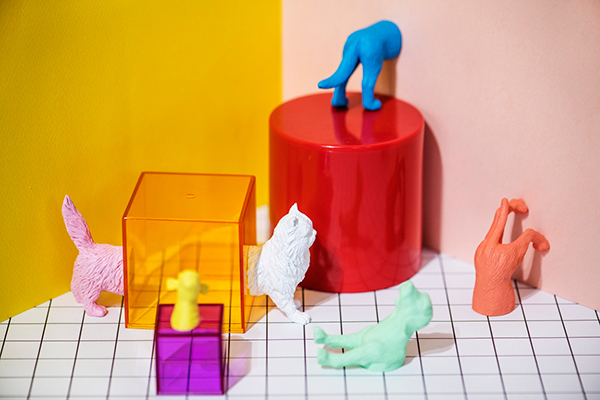 They have motions that mimic real dogs and cats, which will be a fun present idea for any little girl and animal-loving toddler. Wonderful for the winter months, there’s nothing like a pair of fluffy slippers with your name on it. If you want to give the baby girl the ultimate treat, this would be it. To fulfill any girls’ fantasies, this will be like a Disney movie coming to life. You can find them online with a pull along car and handle so parents can pull their girl along. Little girls often love dolls and Barbies but if you want to buy them something extra special, consider getting them a wooden play set. 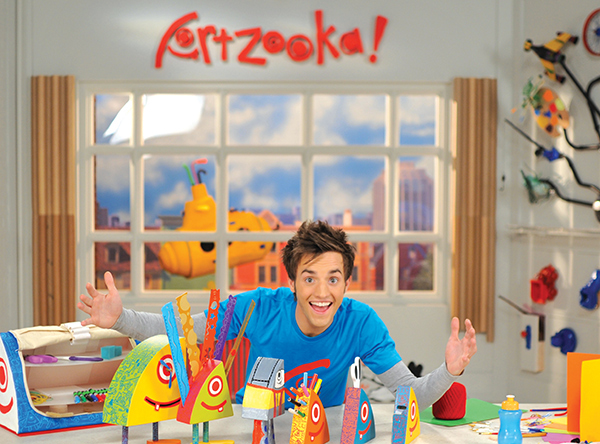 It has more of a one-off feel and allows parents to incorporate learning into their playtime. 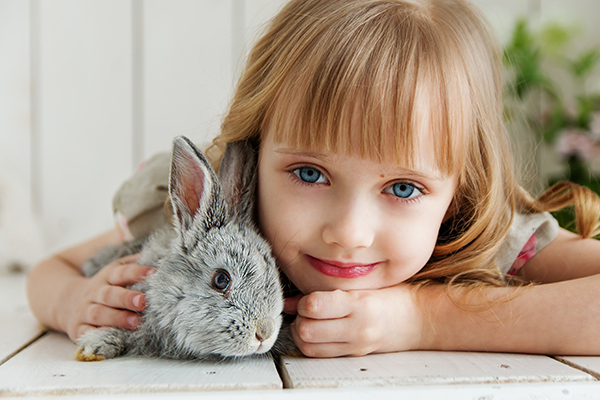 Different animals can be included and played with as the young baby gets familiar with names and shapes. Embroidered toys are beautiful and safe for little baby girls. So, if you want something they can cherish straight away, a soft toy is a great idea. You will want something that incorporates different textures and colors if possible. This way the baby can get familiar with their senses and start to develop them early on. Also great for developing the senses presents that have soft music playing and help build coordination skills are great! Little girls and boys love watching moving things that play with music. Now you know some great places to start, it’s time to begin the search! Personal injury does not discriminate. It can come at any time, to anybody, regardless of class, creed, or race. Thankfully, the United States was founded on the idea that all citizens are born equal, and therefore, everybody is protected under the law when an accident does occur. If you have been injured through no fault of your own, you have the legal right to file a personal injury claim and seek financial remuneration from the party responsible. Derrick Law Firm handles personal injury claims every day from people seeking the compensation they are entitled to after a personal injury and helps them hold those responsible to account. 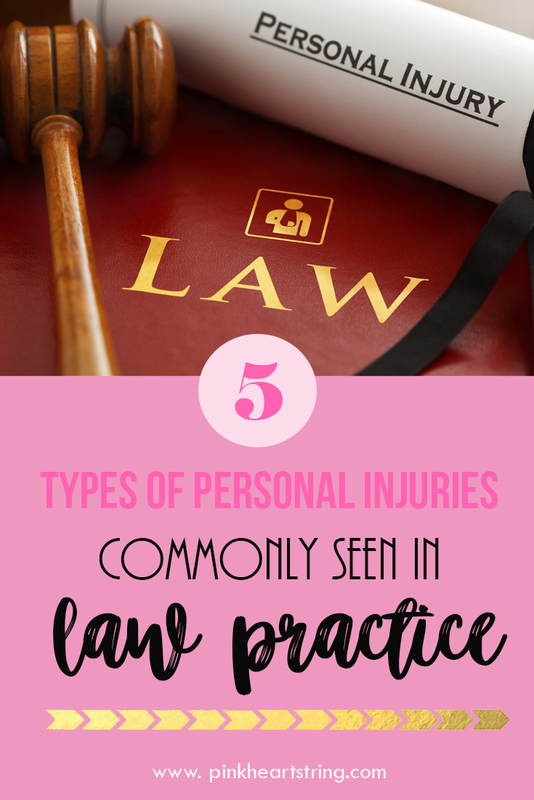 These are the five most common personal injuries that personal injury attorneys deal with on a daily basis. 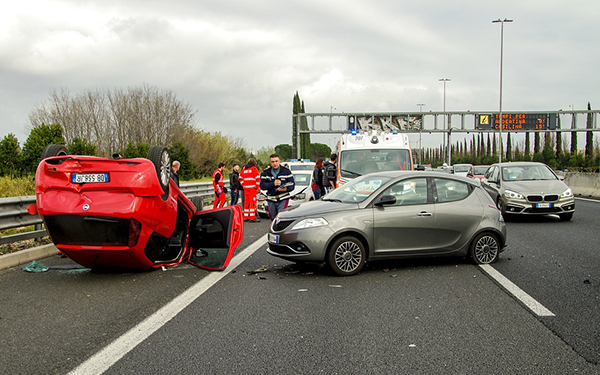 The US Department of Justice estimates that of all the personal injury claims filed nationwide, around 52% involved a motor vehicle accident. Often, these cases are clear-cut. If everyone followed the rules of the road, there wouldn’t be accidents. Therefore, in the majority of cases, there is one party that is clearly responsible. Providing you and your personal injury lawyer can prove that this party was responsible, your case could be worth a significant sum. Between 1991 and 2005, the number and value of medical malpractice claims in the US exploded. Today medical malpractice claims brought against a medical professional for negligence or error make up 15% of all personal injury claims. Most medical malpractice claims are based around a misdiagnosis, complications or errors during surgery and anesthesia, unnecessary treatment, and issues around childbirth. The owner of the premises has the legal obligation to maintain the property in a manner that reduces hazards and minimizes the risk of somebody falling. If you fell as the result of an unkempt or poorly maintained property and were injured as a result, the owner could be held responsible. The nature of responsibility varies from place to place, as do the landlord’s precise legal obligations with regard to maintaining the property. However, if you have fallen as a result of someone else’s negligence, it is advisable to discuss your case with a professional personal injury lawyer to see if you have a claim. As with slips and falls, the exact laws surrounding dog bites vary from state-to-state. The owner is, however, responsible for the actions of his or her dog. This means if someone else’s dog injured you and you were left out of pocket as a result of the injury, chances are, you have a strong case for seeking financial compensation. Not all injuries are physical. It is possible for you to suffer an injury to your character. The law is also on your side in cases of defamation and slander. If your reputation has been damaged by lies and falsehoods, you can file a personal injury claim for damages. Providing you can provide evidence that the allegations made against you are untrue and that they directly caused a loss of income or damage to your reputation, you can your personal injury attorney can begin building a case. 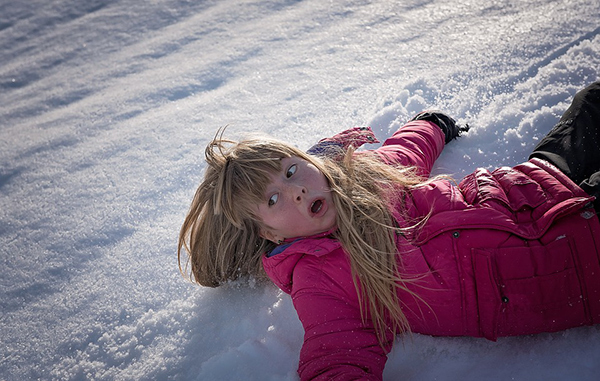 These five personal injury cases could happen to anybody. None are beyond the realms of plausibility. Just remember, if they do happen to you, the law is on your side. You are not alone. Hire a personal injury lawyer and begin the process of putting things straight. The fall is when so many important festivals and ceremonies occur. Whether you want to stay at home or jet off to somewhere with perfectly picturesque in fall colors is up to you. Just remember to spend time with your family. It is your memories together, after all, that will make this season special and something to cherish. 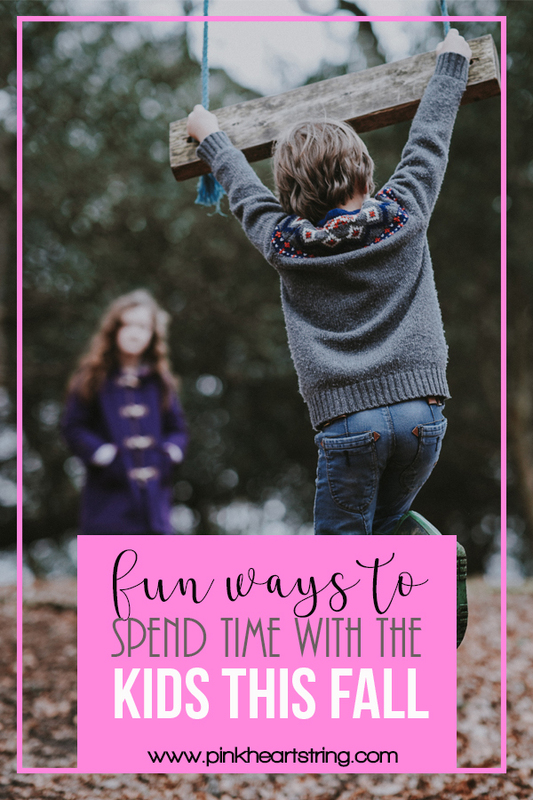 If you need ideas on how to spruce family time up, however, here are some great ways to have fun and spend time together. 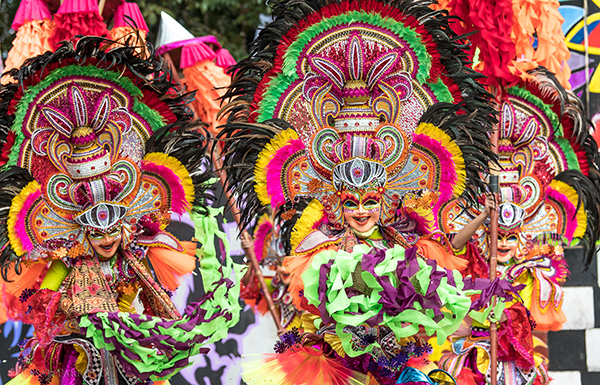 The MassKara Festival, held in the so-called “City of Smiles,” is a great way to spend time together as a family and to celebrate your heritage. Starting only a few decades ago to help cheer up the citizens of Bacolod after economic downturn and a sea vessel accident, this festival is now a colorful, fun way to spend the season. You can enjoy dancing, music, food festivals, and even a beauty pageant. There are great festivals throughout the Philippines, and going to them is a great way to spend time together as the weather brightens and the rainy season ends. When the rainy season tempers out in late fall is the perfect time to start hiking again with your family. Going on outdoor excursions can help you stay fit, bond, and appreciate the natural world for all it holds. If you truly want to help your neighborhood, however, try to bring a bag with you so that you can pick up any trash left by tourists and locals alike. Seasonal meals are the perfect way to support the local community and to bring your family together. Give everyone a job so that your meal preparations are not only easier but so that you can all spend some quality time together and bond over delicious food. You will also be teaching your children key life skills and about the basics of nutrition, which is a win-win for every family. If you want a western experience this fall, head over to one of the great European capitals. This way you can enjoy the color, the fall festivals, and of course the harvest seasons to their fullest. You can even enjoy activities such as Halloween and Bonfire Night if you travel to London. As these cities are world capitals, you are guaranteed to have a great time. Enjoy a day wandering in and out of museums, and go for dinner and then any of the great West End shows for kids. Explore castles and palaces. 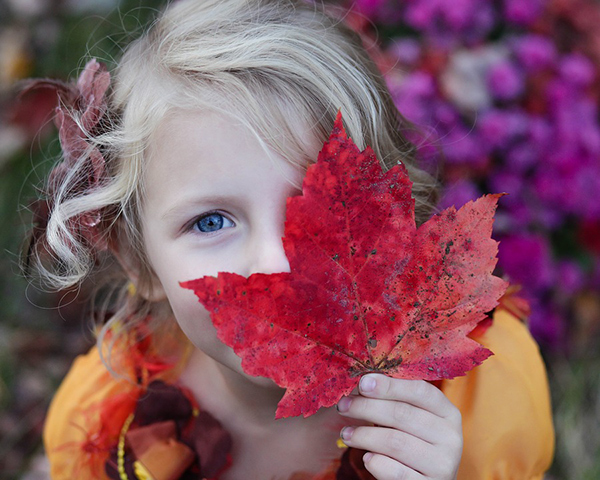 Peruse markets, because the fall season is great for families to get out and explore. As a bonus, you can beat some of the high tourist season occurring at home. Regardless of what your fall season consists of we should all spend more time together with our family and loved ones.